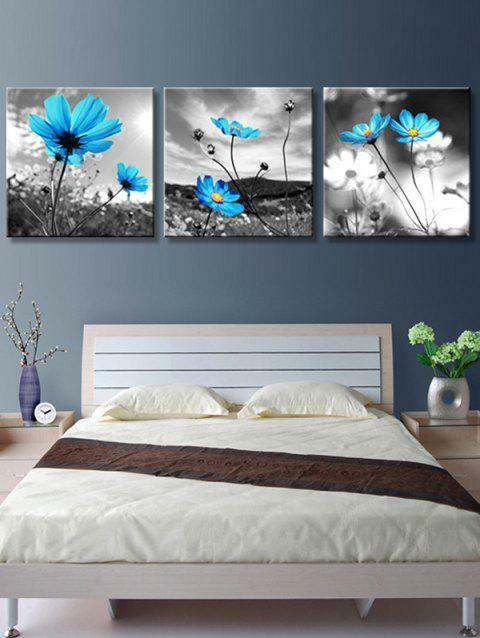 Very attractive prints of bright blue flowers with a stormy dull background. These prints come rolled up like a scroll, so be careful when opening!! Careful not to crease. I put these behind a black frame and they look very nice with the gray background. Nice purchase!